This past weekend, trance legend Ferry Corsten took us all on an uplifting journey during his first 2019 New York City stop. The internationally renowned music producer had attendees lining up outside of Brooklyn’s trendy Schimanski nightclub for hours before he was even set to perform. With winter in full effect in the city that never sleeps, a hearty three-hour Ferry exclusive trance set was everything we needed as we await the warm weather once again. The show’s opening act, Matt Felner, completely stole the crowd and had attendees dancing all their worries away as they awaited Ferry’s appearance. As the perfect warm up for everything Ferry was about to bring to the table, Matt’s mixes brought a sound completely unknown to the hyped Brooklyn crowd that took over the Schimanski dancefloor Friday night. After a few hours of some distinct sounds, Ferry finally acquired the stage and commenced his highly-anticipated set with a pretty suspenseful introduction, keeping us completely on our toes until that first drop hit. From beginning to end, those blissful Ferry transcendental notes we love surely hit home and had us begging for more. Ferry did an incredible job at transitioning from track to track throughout his entire set, mixing his exquisite trance melodies with his energizing progressive house beats harmoniously. Halfway through his set, an interesting mashup of his highly recognized track “Beautiful” brought the energy in the room to another level, and he immediately continued blasting those old school tracks of his we all seem to know the lyrics to. Ferry also presented his own remixes of other trance producers’ electrifying tracks, including some by Markus Schulz, Armin van Buuren, Paul van Dyk, and Anjunabeats curators Above & Beyond. 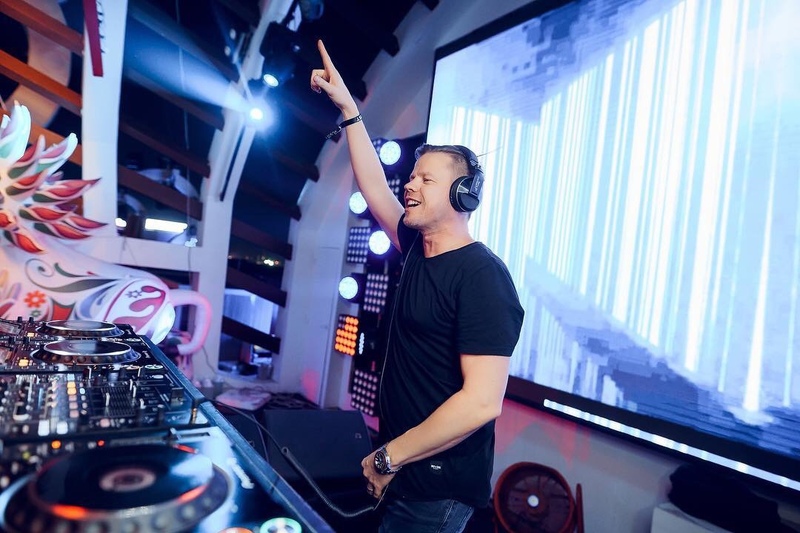 Kicking off New York City’s 2019 nightlife music scene blissfully, Ferry Corsten completely outdid himself this time around during his first Brooklyn showcase of the year. His exquisite three-hour set had us effortlessly grooving the entire night away, having us wishing for more even when it was time to call it a night. Ferry’s powerful impact in the electronic dance music scene has gained him a tremendous amount of loyal fans and followers internationally, many of which migrated to NYC just for his Schimanski special appearance. Definitely a show to remember, we cannot wait until Ferry brings his inspirational sounds back to the Big Apple at a later date this year.